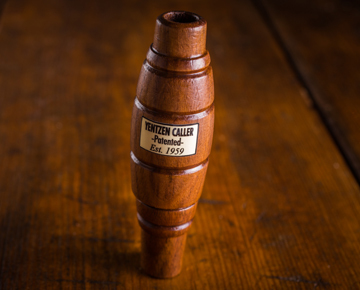 The Sure-Shot "Alpha Buck" Grunt Call was one of the first ever Deer Grunt Calls introduced on the market, in the early 1980's. They are like our other calls, handmade in house. Each "Alpha Buck" Grunt call is assembled and tuned by hand at our manufacturing plant in Groves, Texas. The "Alpha Buck" Grunt Call imitates the grunts of Whitetail deer to perfection. Crafted in durable poly with extension tube for a deep throaty “Alpha” buck sound. Some of the biggest trophy bucks have been taken while utilizing the ''Alpha Buck" Grunt Deer Call!